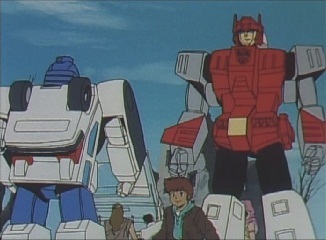 Having received emergency orders from Star Saber, the Rescue Team and Multiforce are sent to India. 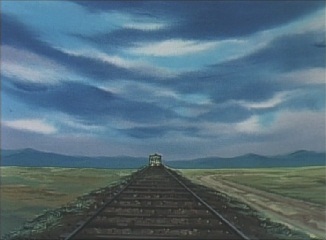 They meet up and see a train coming in the distance. Wingwaver says they must stop it, and stop and other humans from getting close to this area. 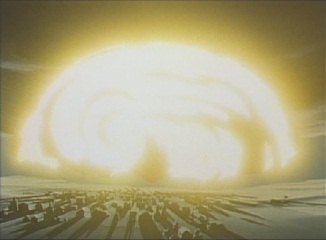 The reason for this is soon made clear, as a missile appears in the sky. 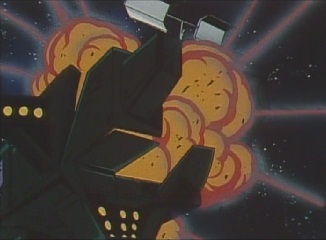 This is no ordinary missile, and as it hits part of the ground, it explodes. 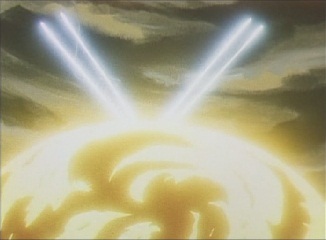 But out of the explosion come four new missiles! These head off in separate directions. The four missiles head across India, hitting targets and causing massive damage. 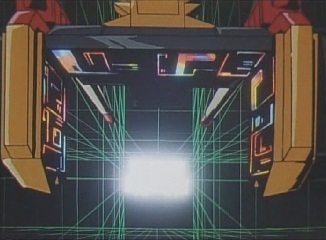 This is seen by the Cybertrons in Shuttle Base, who know that the missile attack was by Deszaras. 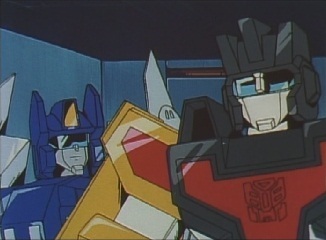 Star Saber tells Laster to get into contact with Wingwaver. 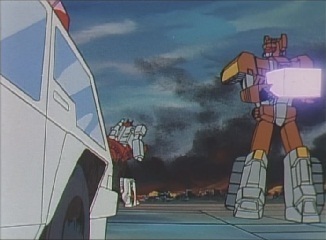 The Rescue Team arrive at one of the attacked areas and start rescue operations. 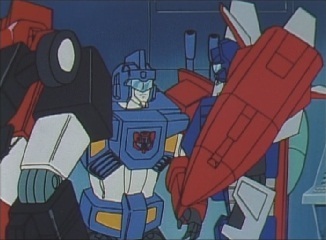 Star Saber wants them to split up and help the other areas, and tells Wingwaver to move out to Calcutta. But he has one important mission directive: should any Destrons appear, they are not to fight with them. 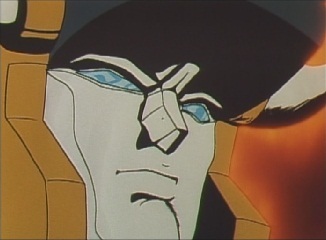 Nobody understands why he would say this, but Star Saber explains. 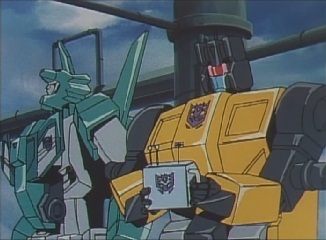 He received a message from Deszaras earlier. 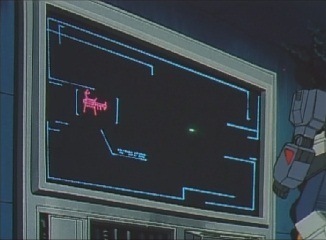 He plays the message, where Deszaras says that his troops are going to transport energy without interruption. 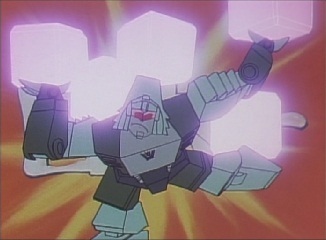 To do this, he has developed a new type of missile, and plans to launch them all over the Earth should the Cybertrons interfere. To show he is serious, he is going to launch one missile, at a certain location. This location was the place Wingwaver and the others were sent to. 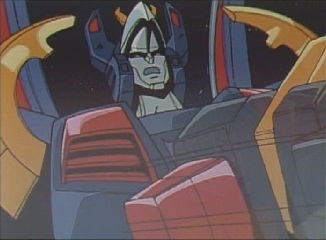 Deszaras advises that the locations for the second and third missiles to hit have already been set, and that Star Saber will not be able to stop them. 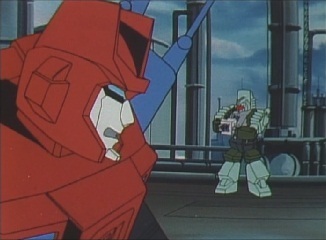 He has a machine which tracks his movements, and will know if he attempts to do anything. 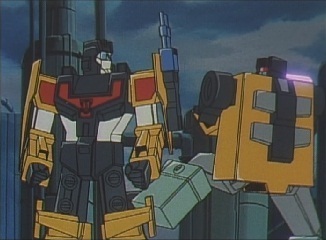 As the message ends, Blacker thinks Deszaras could be bluffing, but Star Saber thinks he's just gotten this desperate to win. 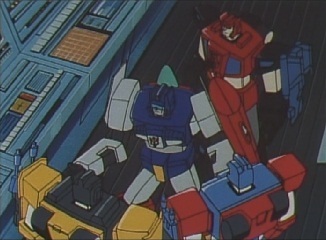 Braver and Laster don't want to sit around, but Star Saber knows they can't do anything at the moment, as they can't stop the missiles. 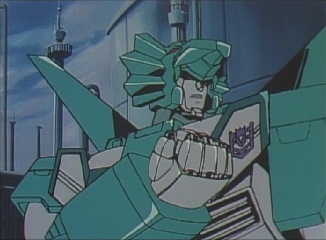 Leozack and the Dinoforce are taking energy from an oil refinery. Gouryuu thinks that Deszaras never fails to impress, as they can take energy leisurely now. 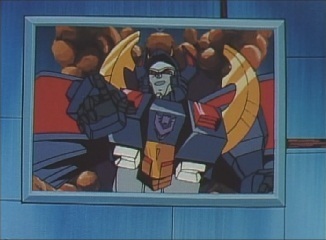 Leozack thinks their Emperor has developed a cowardly streak, and if any Cybertrons get in there way, they should just crush them! 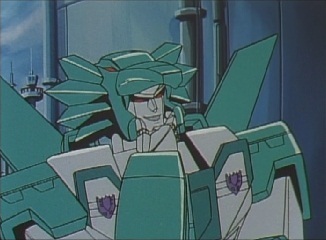 Gouryuu thinks Deszaras did this because of Leozack's repeated failures, but Leozack reminds him that he and his Dinoforce have no ability at all. 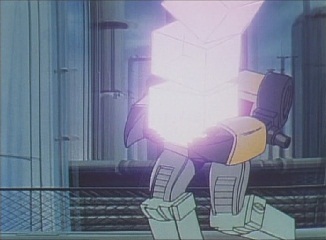 Kakuryuu then cheerily walks over, carrying a very high stack of energon cubes. Too high, as he ends up dropping them! Gouryuu manages to catch them all. 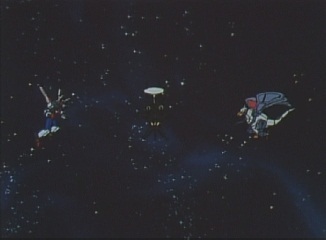 Kakuryuu points out that he just threw the energy, but Gouryuu manages to catch it all again. Leozack thinks that Gouryuu does have a special ability after all. 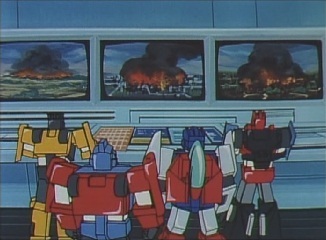 A report comes through to Shuttle Base that some Destrons are at an oil refinery in Pakistan. Pakistan happens to be where Victory Leo is on patrol. 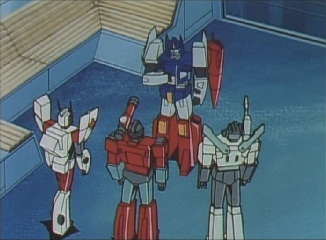 Star Saber tells the Brainmasters to move out and stop Victory Leo from fighting. 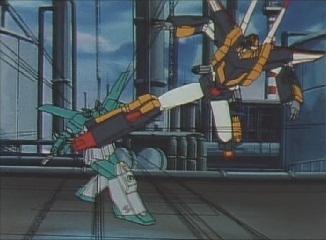 But at the oil refinery, Victory Leo has already appeared and pounces on Kakuryuu. 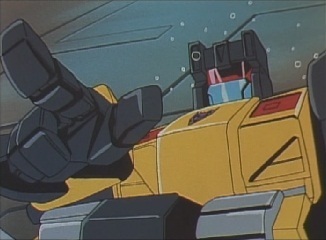 He then turns his attention to Leozack. Leozack guesses that Victory Leo must not know what Deszaras has done. 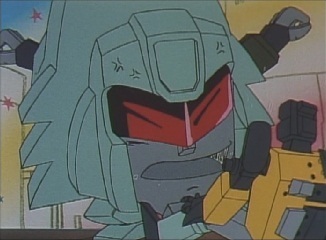 He informs him about the missiles, but Victory Leo doesn't believe what he says and attacks him regardless. 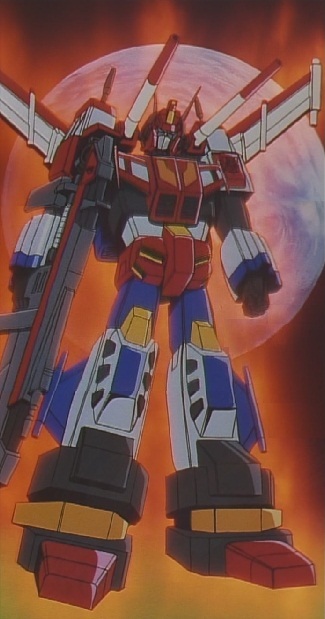 Blacker, Laster and Braver then appear and tell Victory Leo to stop. 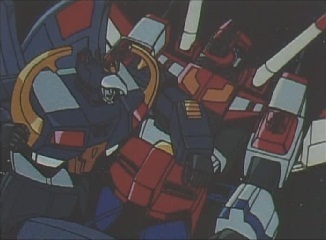 Gouryuu was about to contact Deszaras, but Blacker tells Victory Leo not to interfere with the Destrons, so they can prevent another missile attack. They push Victory Leo back, and Leozack and Gouryuu just start laughing. 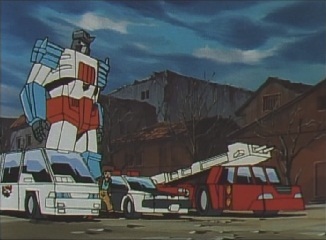 Back inside Shuttle Base, Star Saber knows that Deszaras has worked out his top speed. So there is only one thing he can do: fly faster than he ever has before. He's only got one option. 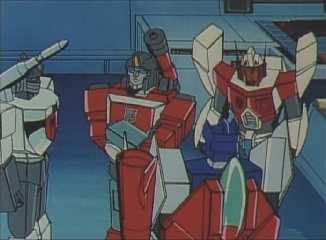 He finds Perceptor, Wheeljack and Minerva, and tells them he intends to unite with Victory Leo. 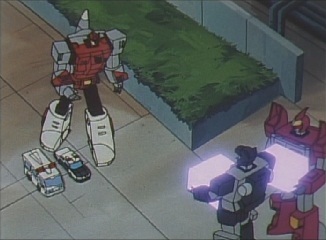 Perceptor does not think this is a good idea, as it could be dangerous and may even damage him. 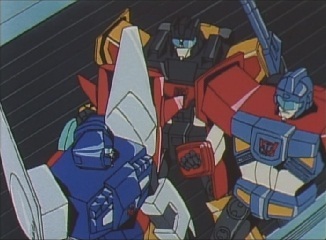 Minerva asks if there are any other ways, but Star Saber says this is the only choice they've got. 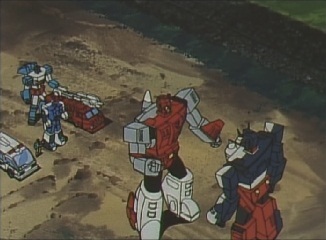 Perceptor still doesn't want to allow it, but Star Saber grabs him by the arm and tells him how the Earth's energy will be sucked dry by the Destrons at this rate. 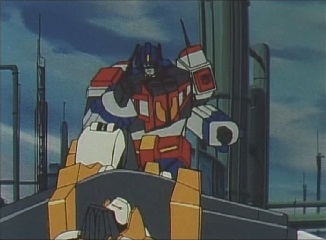 As a Cybertron, he cannot allow that to happen! 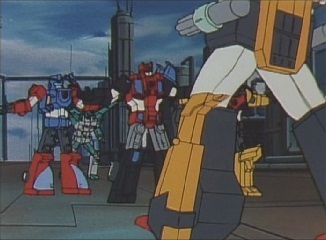 But Perceptor still warns that if the worse happens to him, what will the Cybertrons do then? 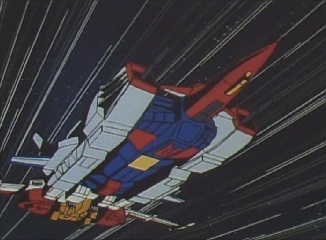 Star Saber says he will succeed no matter the risk, and runs off. 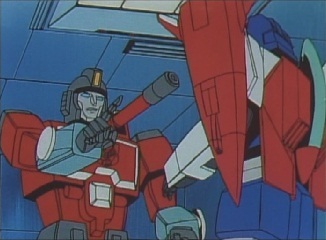 Perceptor says Star Saber is a stubborn one, but he's never seen a Cybertron with more spirit. He's sure he'll succeed. 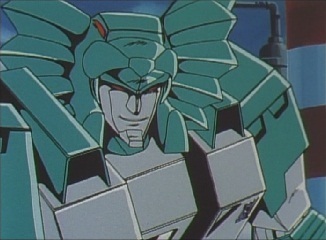 Wingwaver and the Rescue Team arrive in Calcutta, but they encounter some of the Breastforce. 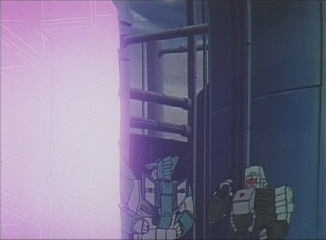 They are taking energy, and Jallguar sees that the Cybertron boys have shown up. 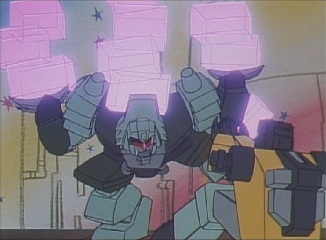 He wonders if they would want to fight, or would they like to help them carry some energon cubes? 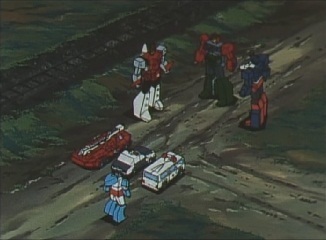 Wingwaver ignores their taunting and moves out with the Rescue Team to start operations, much to the Destron's amusement. 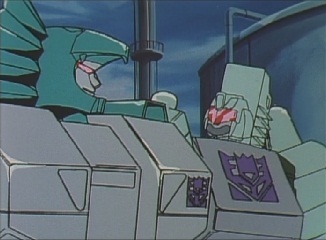 Back at the oil refinery, the Dinoforce continue to gather energy. Victory Leo can't believe this -what kind of world allows something this idiotic?! 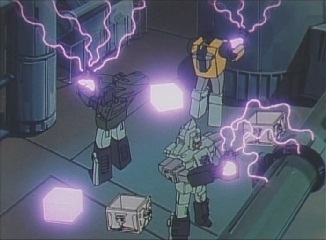 The Dinoforce then walk past with all of their energon cubes, and Kakuryuu decides to push his luck by taunting Laster. 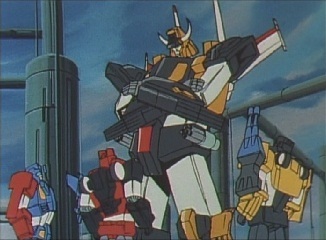 This makes Victory Leo even more furious, and he decides to go and find Star Saber. 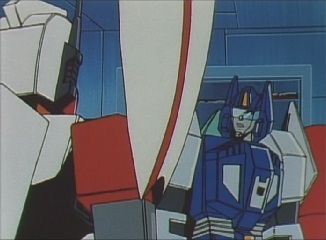 However Star Saber then appears before him. 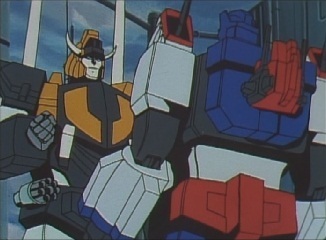 Victory Leo thinks that everything must be back to normal now due to his appearance here, and he goes to attack Leozack, But Star Saber gets in the way and stops him. They are going to take care of the Destrons, but not here and not now. 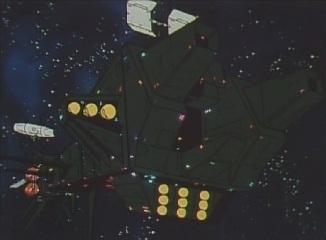 Leozack is not his enemy, the true enemy is in space. Victory Leo knows he must be talking about Deszaras, but they can fight him later. Right now there is plenty of scum here. 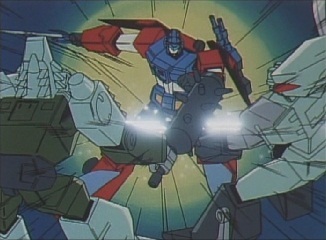 Victory Leo pushes Star Saber out of the way, but is then punched by him. 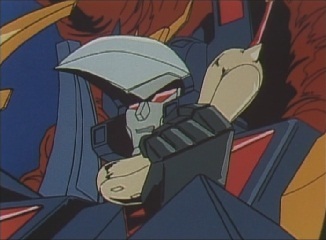 Star Saber says that if Victory Leo thinks it is fine for human life to be sacrificed so long as the Destrons are taken care of, he can't allow it. 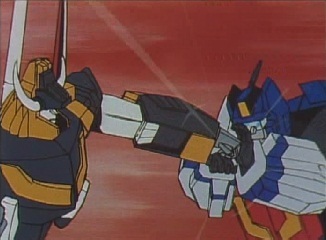 Angry he was hit, Victory Leo gets up and starts punching Star Saber, telling him to bring it -he's meant to be the strongest warrior in the universe! 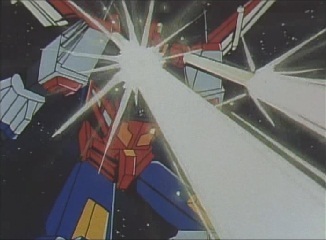 Star Saber blocks one of his strikes and tells him that they must work together. Victory Leo says he understands. 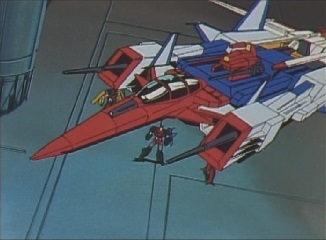 He and Star Saber transform, and thanks to the unification device installed within Star Saber, the two Cybertrons unite in their jet modes. 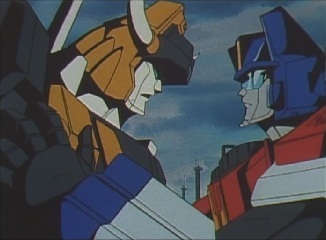 In this form, the two have become one, known as Victory Saber. 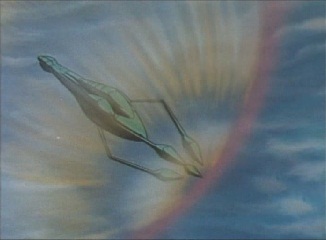 Victory Saber tells Blacker's group to stop the Destrons from stealing any more energy. 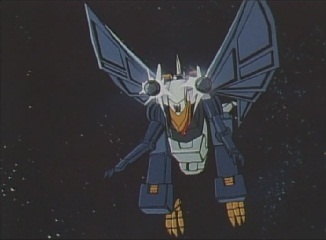 He then blasts off into space, as Leozack tells Kakuryuu to contact the Emperor. 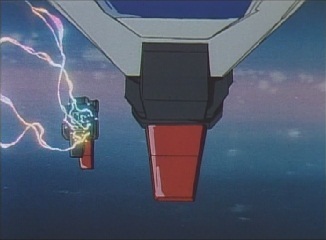 The Thunder Arrow is in space, and inside it Deszaras finds out that Star Saber has taken a reckless course of action. 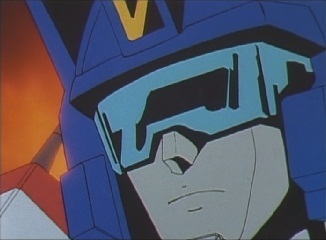 He is not concerned when Kakuryuu tells him that Star Saber united with Victory Leo. 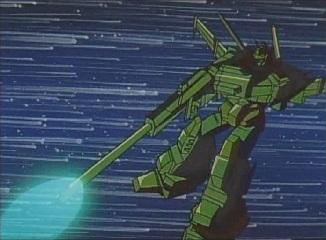 The missile launching weapon has a special satellite attached to it which track's Star Sabers movements, and Deszaras soon picks him up. 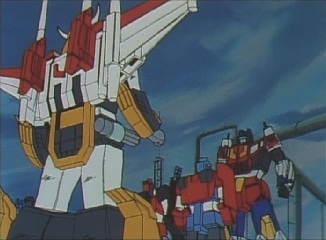 The weapon starts to load missiles, but as Deszaras watches the radar, he realises that Star Saber is going to get here before the missiles can launch! 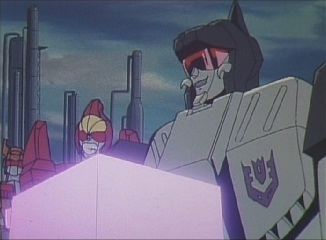 Back on Earth, Blacker says they're going to pay them back double for ridiculing them earlier, as he leads Laster and Braver in to battle against Leozack and the Dinoforce. 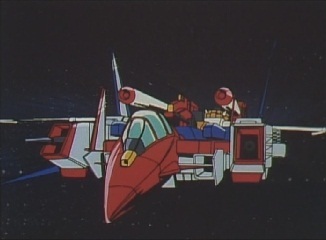 In space, Victory Saber can see the missile launcher in the distance, and knows he made it in time. 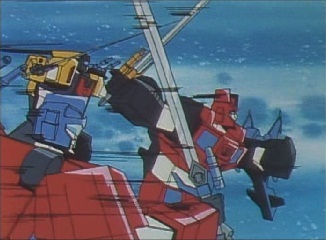 Star Saber and Victory Leo break off each other, as Star Saber transforms to his larger robot mode. 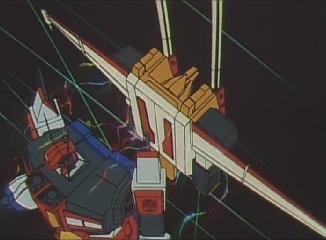 However, Victory Leo transforms, as his body breaks apart and reattaches to Star Saber. 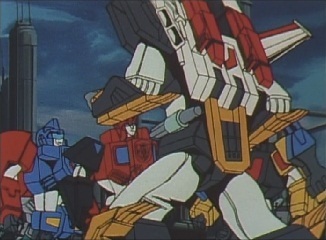 Star Saber gains new boots, along with a back attachment. 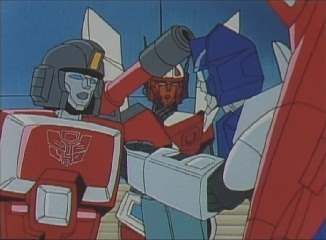 ...to knock him back. 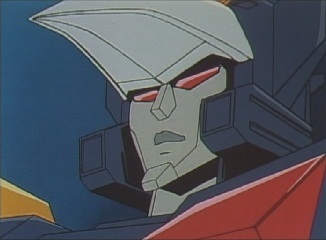 Not that it matters to him -in just a few moments, the missiles will launch! 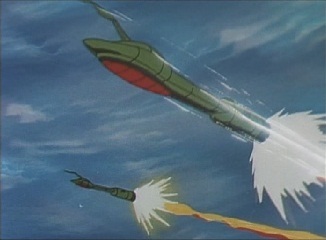 Victory Saber counters this statement by opening fire on the missile launcher. 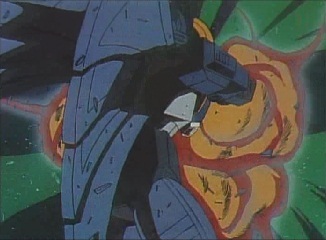 The missile launcher takes damage but is not destroyed, as Deszaras transforms to robot mode and punches Victory Saber and stop him from doing any more damage. 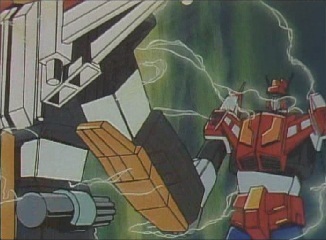 Victory Saber resumes fighting Deszaras, and kicks him back. 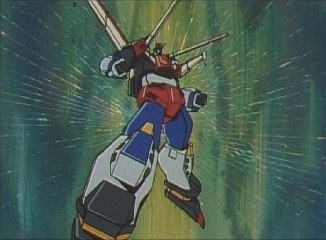 Drawing out Victory Leo's gun, Victory Saber shoots Deszaras and causes him to fly further into space uncontrollably. 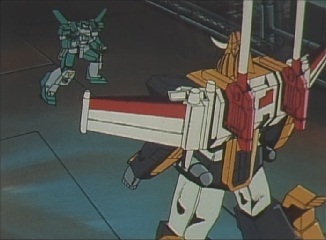 With him out of the way, Victory Saber resumes firing on the missile launcher. 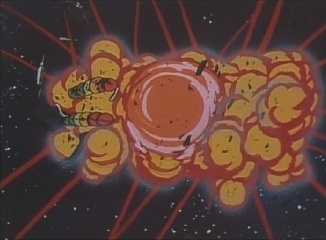 The missile launcher is destroyed, and the Earth is saved. 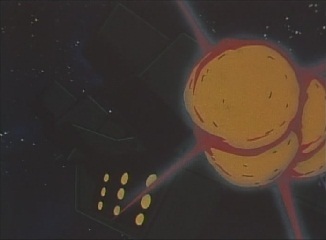 This news is soon picked up by Holi, who tells the others that the Supreme Commander has destroyed the weapon. 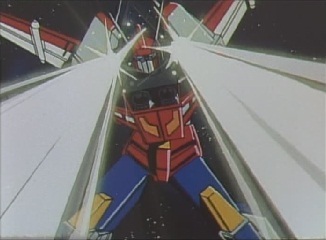 Star Saber and Victory Leo's first unification has been a complete success, and Victory Saber heads back to Earth. 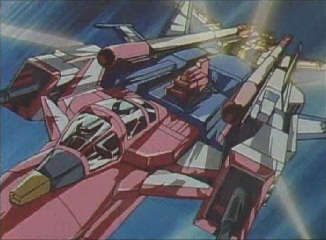 With Victory Saber now around, the Destron forces will surely be trembling in fear! 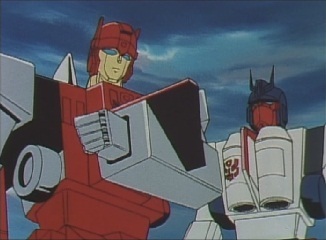 Despite appearing in the last few episodes, this is the first episode of Victory where Minerva actually speaks. 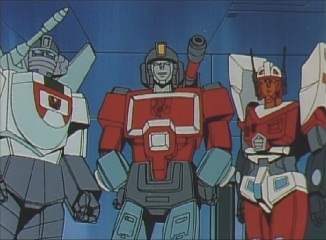 In this series, she is voiced by Tomoko Maruo (who also voices Fire) whilst in Super-God Masterforce she was voiced by Yuriko Yamamoto. 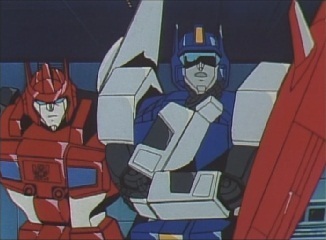 Both Kakuryuu and Gouryuu can be heard singing part of the credits theme for the series, "Cybertron Banzai", in this episode.